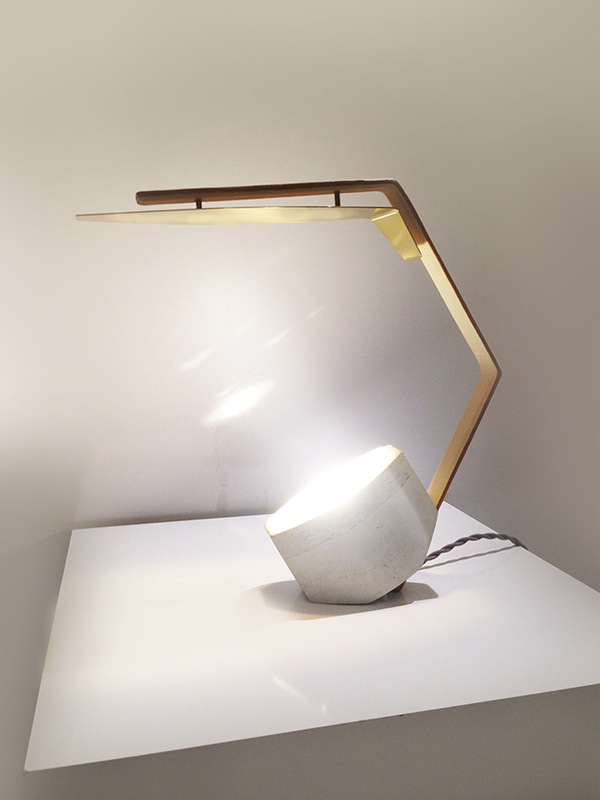 As an extension of the existing Nomadic light the Reflector lamp uses the strong concrete base as its light source. The rays of light are being transformed into the light source by use of reflection. 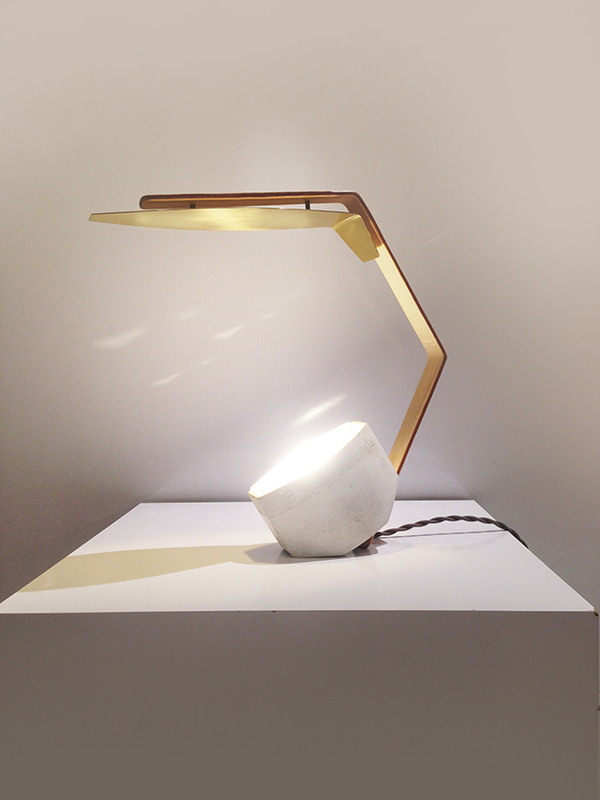 A glowing block of concrete is transformed into a sophisticated table lamp. To adjust the light direction the reflector can be twisted to either side.